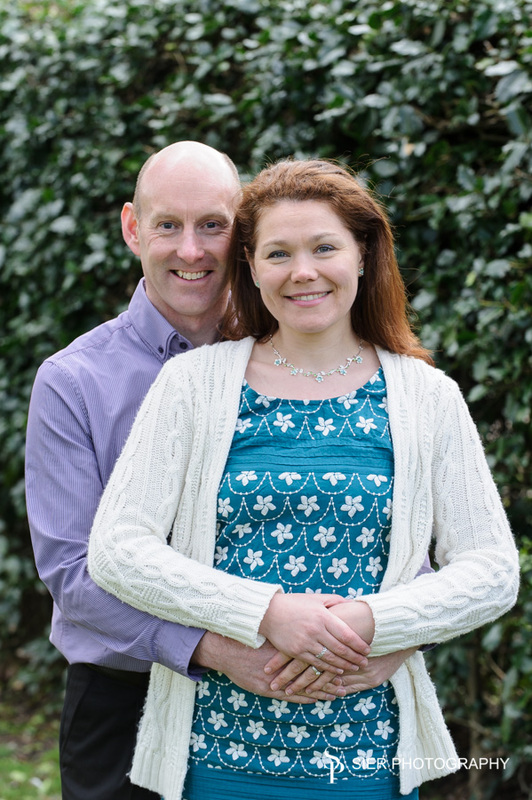 Engagement Photography session with our happy couple ahead of their Wedding at the end of May. These sessions are a fantastic way for us to get to know you and for you to get to know us and for us to see how you react to being the centre of attention! Our style of photography is as far as it can be hands off, it is your day and you don’t want us bossing you about and ruining it by trying to capture that amazing image for some competition or other, after all, we are working for you, not the other way round! 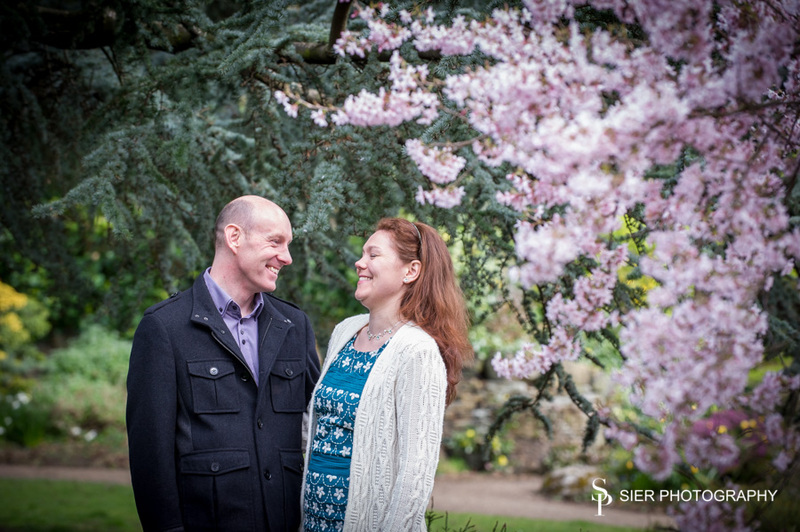 An Engagement photography session in the Sheffield Botanical Gardens. The gardens were really starting to come to life and were bursting with spring blossom colours. 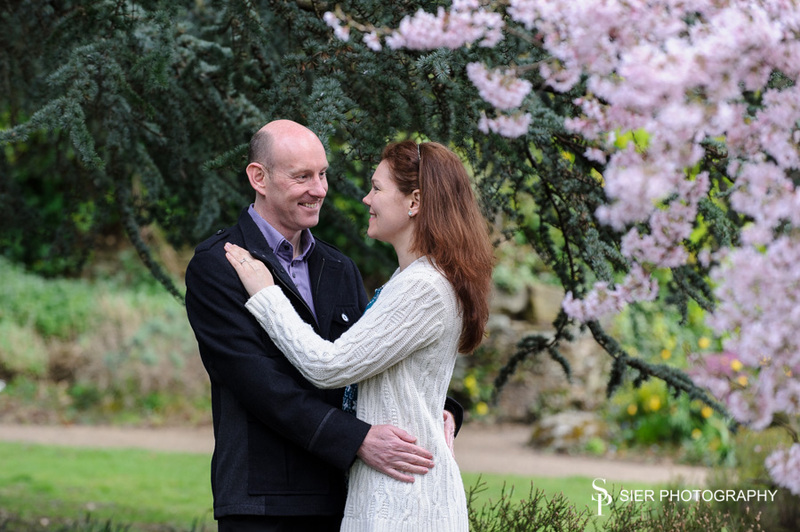 Ann-Marie and Andy had their engagement photography session in the Botanical Gardens in Sheffield a favourite location for us and for many of our couples. A chilly April morning with rain threatening brightened up through the photo shoot. 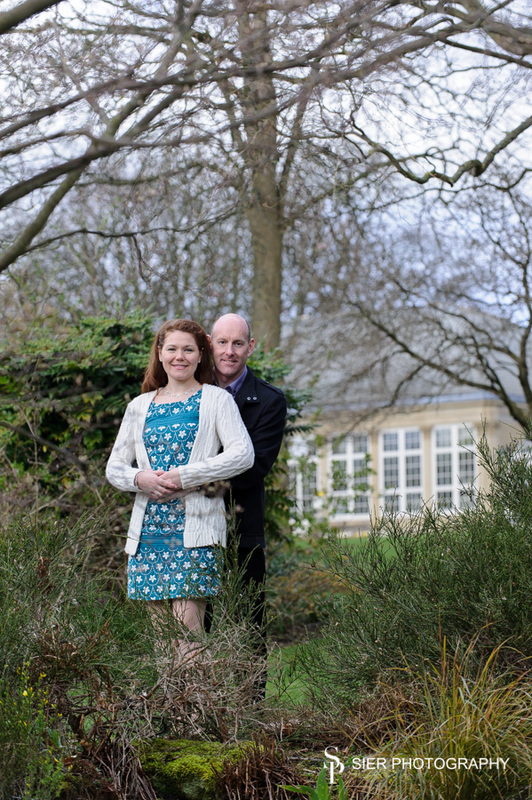 Twenty minutes in and the sun came out turning it into a pleasantly warm morning with our Bride and Groom to be. Colours leaping from every planter and flowerbed, as ever the staff of the Botanical Gardens make this one of the most colourful places to be at any time of year. 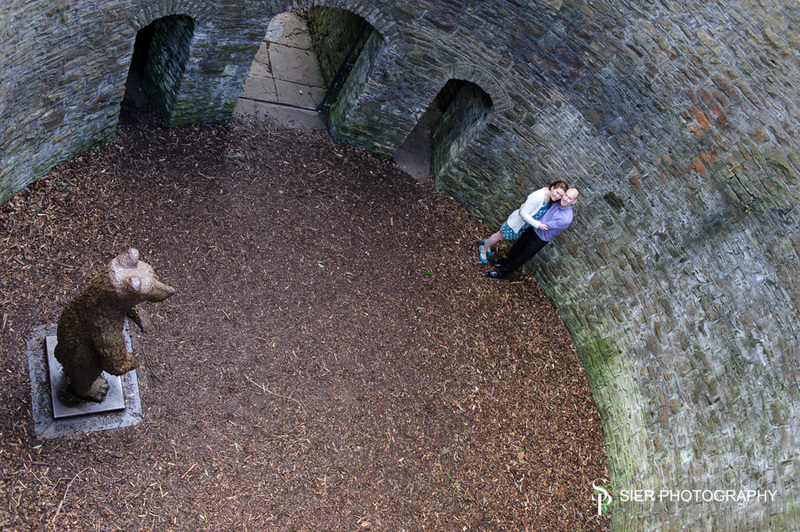 I’ve done this shot a few times before, the wall of the bear pit gives an interesting aspect to the image. The thought that bears were actually kept in this tiny space not much more than a hundred years ago is very, very sad indeed, what sort of life must they had had? Our couple today have the option to leave the bear pit and venture off for a bit of shopping on Ecclesall Road afterwards, imagine if the bears had done that! 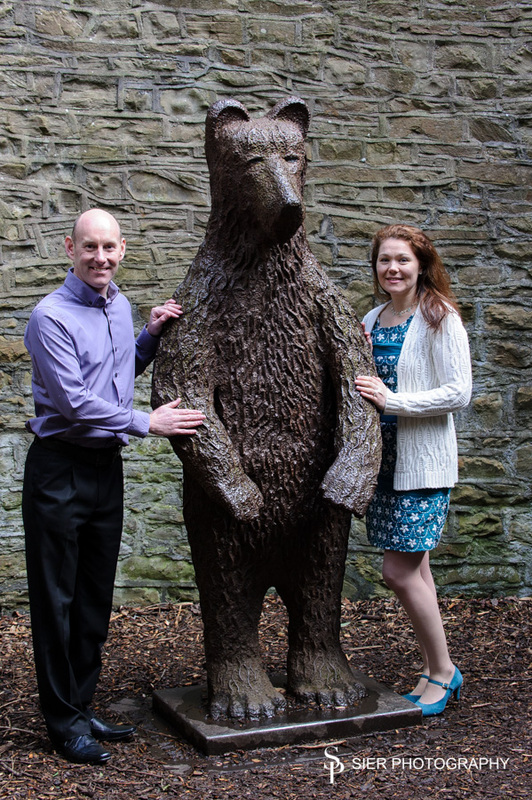 Our metal bear is a popular attraction for visitors to the Botanical Gardens and seems friendly enough! 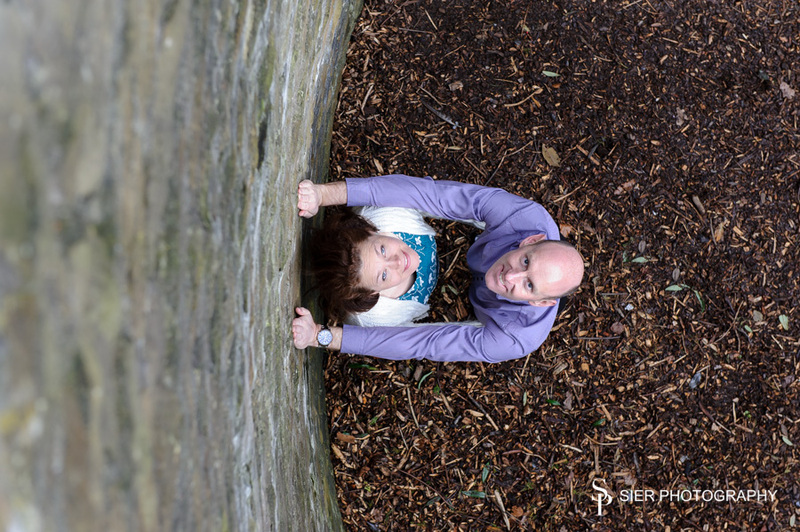 Engagement photography in the Botanical Gardens Sheffield. 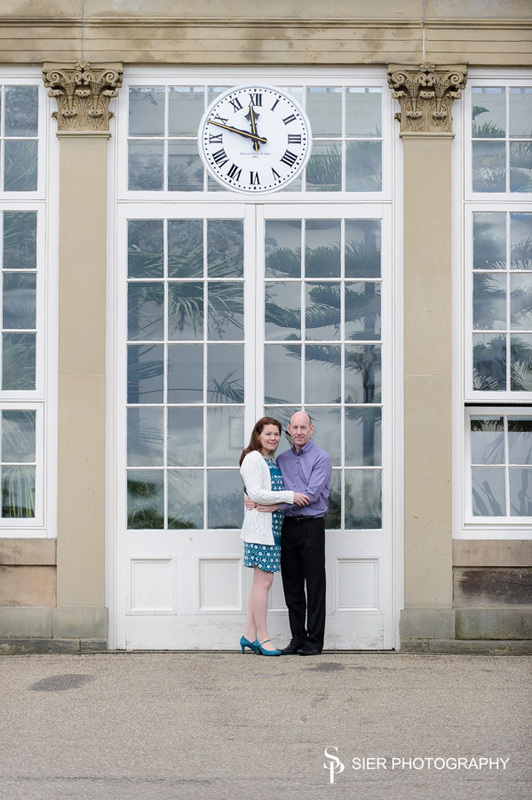 The main glasshouse makes an interesting focal point for portraits.